It sure looks like team president Bruce Allen and the Washington Redskins are doing everything possible to get a first-hand look at this year’s top NFL Draft prospects. Slated to meet with both Dwayne Haskins and Daniel Jones this week, the Redskins will meet with reigning Heisman winner Kyler Murray next week. 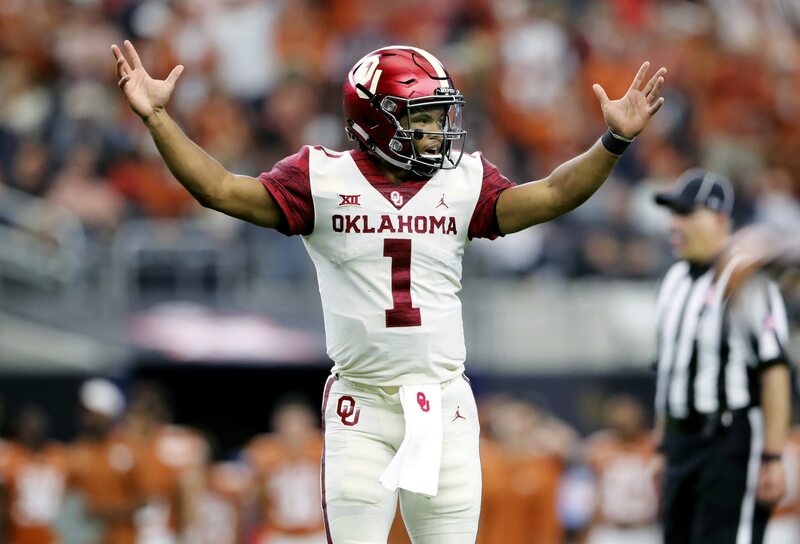 Kyler Murray is visiting the #Redskins one week from today – April 18 – per source. @AdamSchefter reported the Heisman Trophy winner visited #Cardinals yesterday with agent Erik Burkhardt. Source also says Redskins are hosting West Virginia QB Will Grier next Tuesday, the 17th. Murray is an interesting addition to Washington’s top-30 meeting list. The team is selecting 15th overall in the first round. Meanwhile, it’s almost a 100% certainty that Murray will go to Arizona with the first selection. Short of a major trade up in Round 1, the Skins are not landing Murray. It’s that simple. What we do know is that the Redskins have turned their attention to the rookie class rather than look closer at acquiring Josh Rosen from the Cardinals. This seems to suggest that something could be up in the nation’s capital come draft time.